There are many dresses for weddings Peoria IL brides need to consider when planning their wedding. From wedding gowns to bridal gowns to mother-of-the-bride dresses, it may seem like dress shopping will never end! 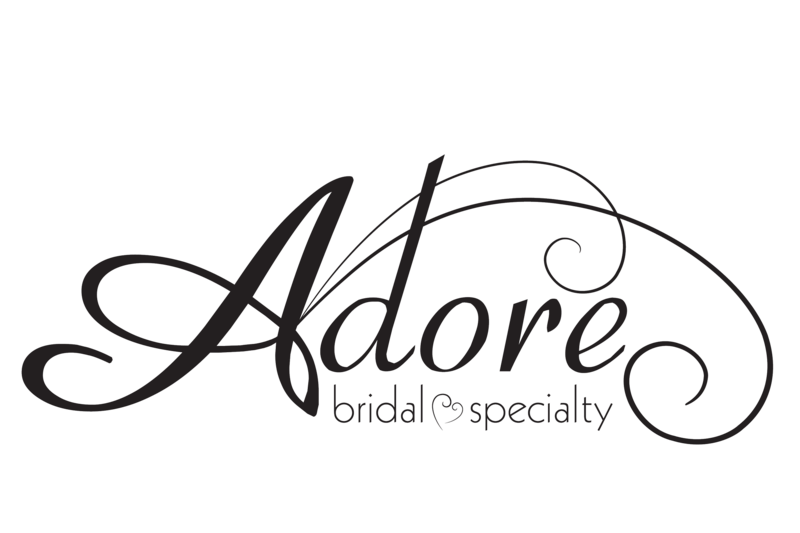 Luckily for Peoria IL brides, Adore Bridal opened their doors in 2011 and has become a one-stop-shop for all the wedding apparel and accessories they may need! At Adore Bridal & Specialty, we are a little obsessed with putting together complete bridal looks. Every wedding and venue has a theme, and it takes the entire wedding party to make a bride’s dream wedding look come true! When you schedule an appointment with us, you are really scheduling an appointment with your own personal Adore stylist. As a result, she will get to know your dream wedding look as well as you do! Your Adore stylist will have options ready for you before you walk in our door, therefore making your appointment a relaxing and surprising one! Brides can find a wide selection of gowns at Adore Bridal, but they can also find designer names right here in Central Illinois! We believe that brides should choose the dress they feel beautiful, confident and proud to say “I Do” in, but you may have your heart set on your favorite designer. After we help you find your dream dress, we can take you to our bridesmaid and specialty occasion gown section to select the bridal party apparel that will complement your wedding dress. We also have the tuxedos, bridal shoes and other wedding accessories to complete your wedding look. For all the dresses for weddings Peoria IL brides need, call 309-291-0838 or schedule your appointment online today. If you are ready to say “I Do” in a dress you Adore, you can trust Adore Bridal to find the gown and bridal party dresses that will help you walk down the aisle.